La vie est belle en Rose introduces a Fruity Floriental to La vie est belle family. La vie est belle is a French expression that means "life is beautiful." This new eau de toilette is composed of a floral heart of iris infused with peony and roses and enlightened by a fruity smile. This colorful fragrance spreads optimism with every spritz, allowing those it reaches to experience "la vie en rose" in all its fullness. See the world en Rose. Fruity, floral and delicate. 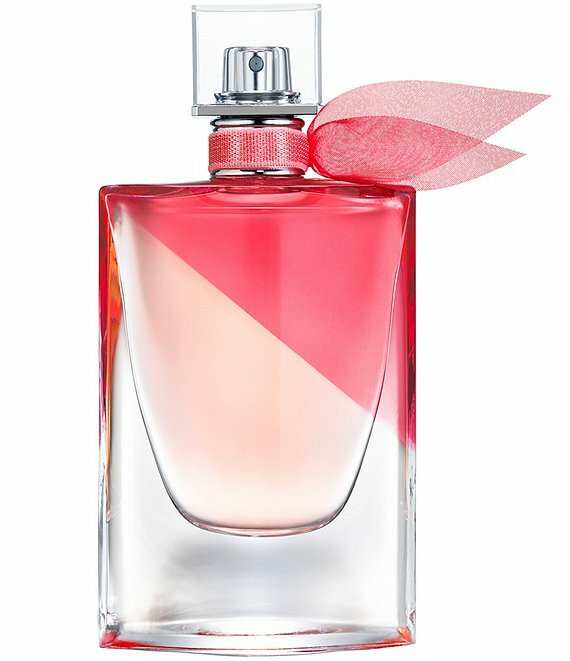 La vie est belle En Rose offers a new vision of the iconic "crystal smile" bottle, adorned with a pink filter that slices through the top of the bottle as if giving it a rose-tinted view on the world within. The famous wings around the neck of the bottle are lit up in pink as an ode to the free-spirited wearer.